We will provide an independent assessment of your business IT needs and in a vast majority of cases we will reduce your IT spend. Our experienced IT Director / CIO resource is an experienced independent professional with a track record of delivering hundred of thousands of pounds of savings to business by moving IT to more reliable, cost efficient technologies. At IT Remedies we are experts in helping you painlessly and easily move from you existing IT Support provider or in-house support. Almost all computer systems are commodities these days using Microsoft, Apple or Linux flavours – and we are experts in all of these. Tolerating poor support, ongoing downtime is costing your business – move to IT Remedies and we have years of experience helping business migrate to our excellent support services. Please use the contact form or call 0845 094 04 94 and one of our IT Support Migration experts will be in touch. We are experts in the provision of a fully managed IT Support service and have demonstrable customer reference sites where we offer this service on a 24×7 365 basis. We have the team with the right skills to support and manage your IT infrastructure and systems and experienced IT managers to provide technical advice to support your business strategy. We can help you reduce your overheads by leveraging IT solutions and a fully managed service providing on-site and off-site support as the business needs demand. Many organisations occasionally need to bring in outside expertise to help them overcome a specific business issue. This may cover the selection and implementation of a new Finance system, a company takeover where some help is required to integrate IT systems or even a part time IT Director or Senior IT Manager. With over 20 years experience in the IT industry covering large consulting companies we know the right people to help you overcome your IT Consultant requirements. For an informal discussuin of your requirements please call us or drop us an email. At IT Remedies we specialise in IT support for SME’s. Information Technology is never going to be a core competency for many SME’s and that is where we can bring our expertise to bear. We have demonstrable experience of delivering thousands of pounds of cost savings to the businesses we work with. 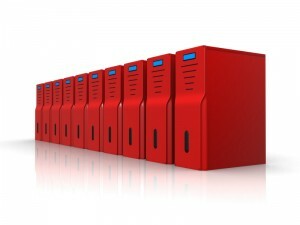 For example many cloud based email solutions can save 50% of the cost of owning your own email servers.